DLF Seeds A/S (“DLF Seeds”) and Zaad Holdings Limited (“Zaad”), announced today that they have formed an alliance and agreed to enter into a joint venture, which shall be effective from July 1, 2017 (“Joint Venture”). The Joint Venture shall be known as DLF Seeds (Pty) Ltd. The objective of the Joint Venture is to expand the marketing and sale of temperate forage, turf grass, clover and alfalfa seed to wholesale customers in the Southern African market by introducing superior genetics and solutions through local testing and technical support. With the Joint Venture serving as sourcing and supply vehicle, Zaad will continue to distribute and market forage and turf grass seed through its well established Agricol and K2 Klein-Karoo Seed Marketing brands and DLF will continue to serve its wholesale clients. Tacoma, Wash. (June 19, 2017) – Tacoma-based Sprague Pest Solutions (www.spraguepest.com) moved up three places to the 25th spot on the 2017 Pest Control Technology magazine Top 100 List. The list was included in the magazine’s May issue (www.pctonline.com). Sprague protects some of the world’s largest food processing and distribution facilities for many of the most recognizable consumer brands from potentially disease-transmitting pests including rodents, ants, cockroaches, bed bugs, nuisance birds, stinging insects, stored product pests, and flies. The company also offers specialty technical services including risk assessments and audit preparation, heat treatments, commodity fumigations and fumigation alternatives, large-scale bird exclusion and management, and employee and food safety training. Sprague recently acquired TMC Pest Management in Bakersfield, Calif., marking its expansion into California and giving it the ability to protect food processing, distribution and transportation facilities in California’s agriculture-rich San Juaquin Valley from the threats posed by pests. Sprague, a fourth-generation, family-owned company, provides vital preventive and remedial pest management and consulting services to leading food processing, agriculture, healthcare, hospitality and distribution facilities from Washington state to southern California. The company operates service centers across six states including Washington, Oregon, Idaho, Utah, Colorado and California. You have all heard of the field of dreams? Not so very long ago we had a vast field of weeds and grass growing out of a swampy, muddy pool in the center of the play area at Cloverdale Elementary School. This was supposed to be the main game and activity area designated for our students. The potential for baseball, soccer and other games were obvious and tantalizing for our students, who for years attempted to venture out into the wet morass, often finding themselves sinking into the dark, sticky goo that oozed up their legs as their shoes slowly sunk into the mud. Having a large usable filed seemed like a hopeless dream that would never come true. The extensive work required to make the field a suitable place for children to play was too expensive. Eventually, we had to ban students from going near the field so children were confined to a very small play area. Then, what I consider a miracle occurred. Tom Lovell, our facilities director, reached out to a few community members and organized a small army of generous volunteers who came together to turn our field of weeds into a beautiful field of dreams. In addition to Tom’s efforts in organizing and supervising the work on the field, several other folks need to be acknowledged. Gordon and Noah Hilton provided several workers, materials and equipment needed to install the drain tiles. Dennis Bethel donated a backhoe, truck, bulldozers and two of his employees — all at no charge. Baker donated his tractor, tools and two workers. Mike and Brian Everitt brought in their personal tractor and the equipment needed to prepare the field to plant the grass seed. Finally, Stacy Kuenzi donated 800 to 1000 pounds of grass seed on behalf of the company she works for, Mountain View Seed. This is a wonderful example of what a community can do when they come together for a common purpose. It’s difficult to put into words how grateful we all are for the kindness and generosity of the very special people who transformed our field from a swamp to a field of dreams. A field filled with happy children playing, learning and growing. From the bottom of our hearts, we thank you! Christy Wilkins is the principal of Cloverdale Elementary School in the Cascade School District. She can be reached at 503-749-8050 or cwilkins@cascade.k12.or.us. See the original article published by the Statesman Journal here. Tacoma, Wash. (May 2, 2017) – Sprague Pest Solutions has acquired TMC Pest Management of Bakersfield, Calif., expanding the fifth-generation company into California and giving it the ability to serve commercial clients from Washington state to Southern California. TMC will operate under the Sprague Pest Solutions brand immediately. Founded in 1992 by Jeff McCaa, TMC Pest Management focuses nearly 100 percent of its business providing innovative pest management services to commercial-industrial clients. The company specializes in protecting food processing, distribution and transportation outlets in California’s agriculture-rich San Juaquin Valley from the threats posed by disease transmitting pests. “The TMC culture and commitment to providing innovative, customer-centric pest management services to high-end commercial clients matches ours perfectly,” says Alfie Treleven, CEO/president of Sprague Pest Solutions. Sprague, the 29th largest (based on revenue) company on PCT’s Top 100 list, has a long history providing the food processing and agriculture industries with cutting-edge pest management and food safety programs. That experience will be valuable as Sprague takes over service on some of the world’s largest food processing and distribution facilities representing some of the most recognizable consumer brands. Sprague General Manager Ross Treleven says the acquisition of TMC will strengthen Sprague’s commitment to commercial and industrial pest control in one of the country’s most active commercial pest management regions. “The Central California market is exactly the space we want to be in and we are very excited about the opportunities the marketplace offers,” he adds. Bakersfield Service Center Manager Jeff Freeborn says TMC clients can expect the same innovative and top-rated service under Sprague but also enjoy access to additional specialty services including commodity fumigation and bird management – a key emphasis point of Food Safety Modernization Act mandates. “The Sprague brand represents more than 90 years of expertise and TMC clients will certainly benefit from the resources they bring to the table to design and implement highly effective pest management programs in high-end commercial and industrial accounts,” says Freeborn. Sprague Pest Solutions (www.spraguepest.com) was founded in 1926 and provides vital preventive and remedial pest management and consulting services to leading food and beverage processing, healthcare, hospitality, and retail and agriculture facilities in the Pacific Coast and Inter-Mountain regions. 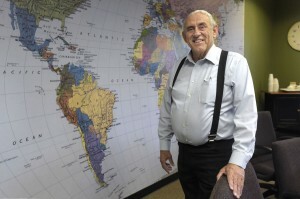 Manager in the Southwestern zone of the United States. Academic Athlete of the Year Award. Super Bowls and College Football Playoff National Championship games. strong personal and professional moral that makes him a great fit to the Pure Seed culture. wife Heather in Phoenix, AZ. Justin can be reached at justin@pureseed.com or 602.316.0336. 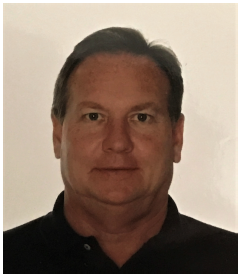 Pure Seed is proud to announce Greg Freyermuth as their new Regional Manager in the Southeastern zone of the United States. Greg has extensive knowledge of the seed industry, and will broaden Pure Seed’s ability to service customers throughout the nation. Greg’s previous experience in the seed industry includes being the Territory Manger for Turf-Seed and Scotts Professional Seed. His familiarity with Pure Seed’s vision and product line gives him the advantage to make an immediate impact for the company. 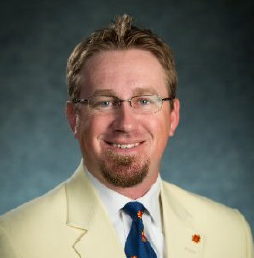 Greg has been strategically located in the Southeastern region of the United States for 30 years where he has created many long-term relationships, and understands the local turfgrass market. Pure Seed is glad to have Greg join their team. A tiny plastic farmer wearing a wide-brimmed hat and green overalls is doing his bit to raise awareness of Australian agriculture. He is the Lego Farmer, 4.5cm tall and becoming quite a national, if not international, celebrity as he sows the message of agriculture in schools and via social media. The farmer spends his day working hard, fixing machinery, baling hay, checking the harvest, planting crops or hanging out with his working dog. And his ‘home’ is with Little Brick Pastoral, a blog started by agribusiness graduate Aimee Snowden, who lives on her family’s irrigation farm at Tocumwal, in the southern Riverina in New South Wales. Born and raised on the land, Ms Snowden was keen to share her love of agriculture, and decided to combine it with her passion for photography and her sense of fun. Like so many adults, the joy of playing with the colourful plastic bricks never really left her and, in September 2014, she decided to experiment with a minifigurine, or ‘minifig’, and her camera. 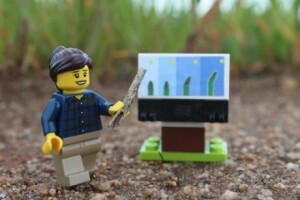 Ms Snowden first posed her farmer among a germinating crop and — like the crop — the Lego Farmer’s popularity has grown and grown. “When I first started, I thought it would be a bit of fun,” she said. “But after a little while, I realised it had a lot of potential as a way to start a conversation around production and farming in a different way. 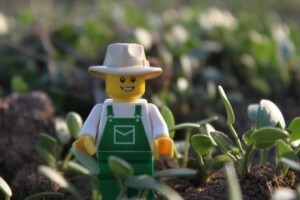 Aimee Snowden launched the Lego Farmer in 2014 with this photo of the farmer in the sprouting clover. Ms Snowden said using the toy enabled her to capture a wider audience — parents and their kids, city residents who may have grown up in the country, and people who loved Lego. She said she first noticed how engaged children were with the little plastic farmer while attending an exhibition of the building blocks in Melbourne. “We shared the story of oats with a tactile display and we found there was such an interest from kids, and even the adults,” Ms Snowden said. In September, during the Year of the Pulse, Little Brick Pastoral teamed up with the NSW Department of Primary Industries (DPI) to create a teaching resource. Ms Snowden developed 12 agricultural characters and together with the DPI, produced On the Pulse, a kit containing classroom activities designed for primary school-aged children. Little Brick Pastoral is hoping to be involved in developing more educational resources for primary schools. Its goal was to connect students with where their food comes from, teach them about careers in the industry, and increase their agricultural literacy using minifigs as a storytelling tool. The initial rollout of 200 kits was very popular and Ms Snowden said while feedback on its success was still to come, she hoped there would be more opportunity to work with schools. “It was very well received. The kits went quickly and we know there is a strong interest, and the DPI would like to continue working with us,” she said. 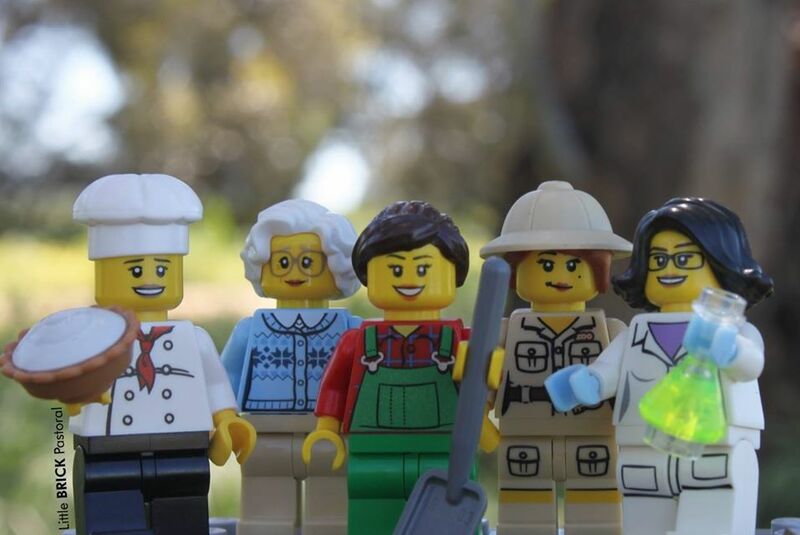 Ms Snowden would like to see characters like the Lego Farmer highlighting the various careers in agriculture — from paddock to plate — in classrooms around the country. However, individual state curriculums mean liaising with various education boards. “Because my background is not in education, I need to partner with people who can provide that input,” she explained. In the meantime, Ms Snowden continues to use her blog to tell the story of farming in Australia. Apart from increasing awareness and offering an insight into the Lego Farmer’s life, Little Brick Pastoral provides access to up-to-date information about agriculture in Australia. It provides industry links to resources designed to help other farmers, students, teachers and representative groups. 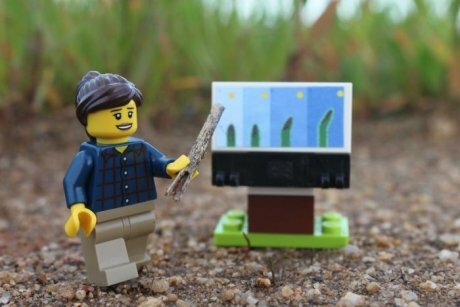 But the farmer’s fame is not restricted to the blog — he has almost 8,000 followers on Facebook, uses Twitter, and shares photos on Instagram where other Lego photographers congregate. 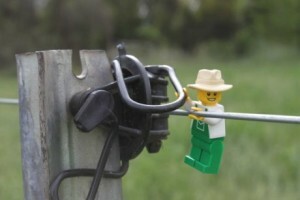 And yes, there is a female Lego farmer too, although most of her time is spent behind the scenes. “Women play an important role in all agriculture and in fact, they make up 43 per cent of the world’s agricultural labour force,” Ms Snowden said. She said that quite often, due to ratio and perspective, two characters in the frame could “overcomplicate” the image — and then there were the sudden gusts of wind and other environmental factors. 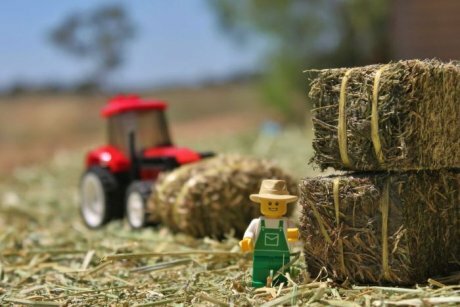 Ms Snowden and the Lego Farmer are not affiliated with the famous toy maker, but were involved in the #BuildAustralia campaign. Tacoma, Wash. (October 18, 2016) – Accomplished local business leader and a long-time advocate for the professional pest management industry, Larry Treleven, vice president and co-owner of Tacoma-based Sprague Pest Solutions (spraguepest.com) has been named to the Pest Management Professional magazine Hall of Fame. Treleven received his award at a ceremony on October 17 during the PestWorld Conference. 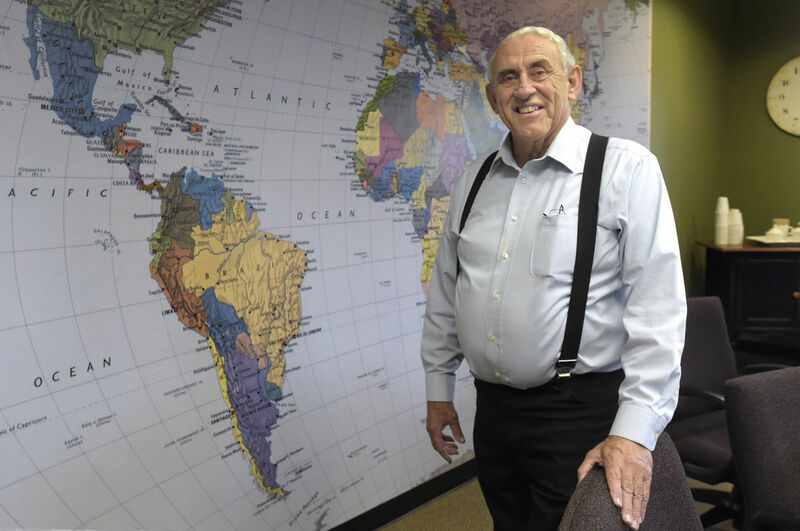 Treleven, a third-generation pest professional, has been with the company since 1971 and has served in virtually every capacity from service technician to president. During his tenure, Sprague has grown from a small family business to one of the top 50 pest management operations in the United States. Sprague provides vital preventive and remedial pest management and consulting services to leading food and beverage processing, healthcare, hospitality, retail and agriculture facilities in the Pacific Northwest and Mountain regions. It operates service centers in Washington, Oregon, Idaho, Utah and Colorado. Treleven’s commitment and dedication to his profession stretches well beyond the walls of Sprague as he is deeply involved in numerous industry and civic organizations. He served as president of the National Pest Management Association in the mid-1990s, the Washington State and Oregon Pest Control Associations on several different occasions, and was a founding member of the Professional Pest Management Alliance. The University of Washington graduate is also active in local business and civic organizations including the Association of Washington Business, Tacoma-Pierce County Chamber of Commerce, Tacoma Rotary Club, Goodwill Industries, Franciscan Health System and Washington Building Owners & Managers Association. Sprague Pest Solutions, founded in 1926, is a Copesan Services partner (www.copesan.com). In addition to protecting clients’ facilities and products from pests including rodents, ants, cockroaches, bed bugs, nuisance birds, stinging insects, stored product pests, and flies, Sprague offers specialty technical services including heat treatments, fumigations, fumigation alternatives, large-scale bird exclusion, risk assessments and employee training. The recent third quarter issue of Seed Today magazine featured three of our member companies: West Coast Beet Seed Co., Vista Seed Partners, and the Oregon State University Seed Lab. Please click the links below to read the articles!